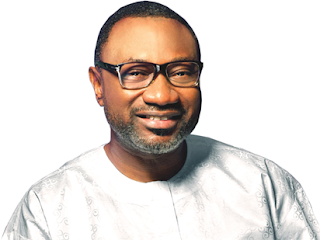 The majority shareholder of Forte Oil Plc, Femi Otedola, is planning to buy out the upstream services and power distribution firm of the company to be ratified by the shareholders on February 7. The firm’s Company Secretary, Mr Akinleye Olagbende disclosed this in a letter to the Nigerian Stock Exchange, NSE, yesterday. Mr Olagbende said the move followed shareholders’ approval, on May 23, 2018, of the divestment of Forte Oil from its Ghana unit, AP Oil and Gas and Amperion Power Distribution Company, which holds the group’s interest in Geregu Power Plc. He stated that the company’s efforts to sell the assets were hit by low interest in the bidding process as well as low price expectations. “A public tender sale process was commenced to attract interested potential investors to participate in the divestment opportunity. Upon review of the outcome of the sale process, the management of the company is of the view that there was an unexpectedly low interest in the bidding process. The pricing proposal does not meet its expectation, based on an independent valuation of Amperion, thus, may not be in the best interest of its shareholders,” Mr Olagbende said. The proposal, according to him would be subject to a rigorous review by the company’s management and if successful must be in line with relevant extant regulatory requirements. He said the process would ensure adequate funding for the company’s downstream operations if successfully completed. He further noted that the proceeds of this restructuring exercise would enable the company to compete more favourably and achieve its planned expansion objectives within the downstream subsector. Mr Otedola had earlier signalled his intention to sell-off his 75 percent direct and indirect holdings in Forte Oil downstream business.